In a large bowl, whisk yogurt, eggs, butter, and lemon zest. Add dry ingredients and whisk just until combined. Fill muffin cups ⅔ full with batter. Bake for 14-18 minutes or until toothpick comes out clean. Cool in muffin tin for 5 minutes. 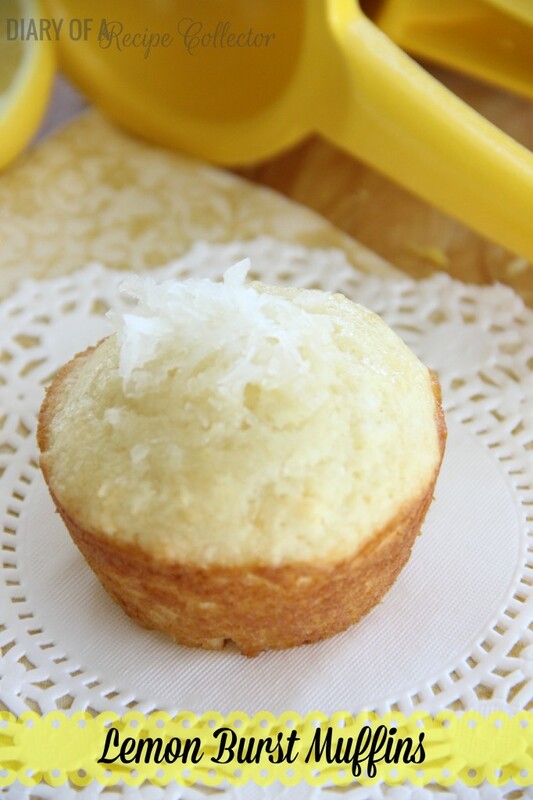 While muffins cool, begin creating lemon coconut syrup by heating sugar and lemon juice in a small sauce pan over medium heat until sugar is dissolved. Poke 10 holes in each muffin using a toothpick. Spoon syrup over each muffin. Let soak in for a few minutes and remove from pan.